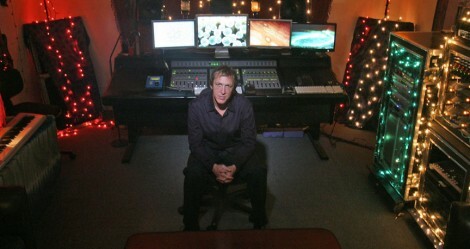 “Greg Townley is a well known composer, mixer and producer of the music industry, but he is more of a creative mind. He is familiar with almost any music genre and worked on various famous epic albums of Audiomachine and Immediate Music”. TMN: Could you talk about yourself a little bit? Greg Townley: As a kid I loved Black Sabbath, which should say most of what you need to know. I only assisted for nine months in a studio when I was just 18, then I started mixing and never looked back. It came naturally to me and I didn’t want to do anything else. Except in a parallel universe I would probably be a Search & Rescue Fireman. I recorded my first symphony when I was 21 years old. Throughout my career I recorded, mixed or produced virtually every genre of music imaginable from rock, punk, reggae, R&B, dub-step, hip-hop to classical and film music. I like to say “I mix orchestras like rock bands” because throughout my career I have been involved in so much musical variety. I have mixed over a hundred films, produced or mixed eleven full large-scale orchestral trailer compellations, and countless individual trailer tracks. I am self -taught… fueled by ambition and drive, saying yes to every opportunity that came my way. My ‘degree’ comes from spending thousands upon thousands of hours in studios and concert halls around the world. It was by doing, not watching, that I developed my creative and intuitive sense. Part of mixing and producing is technical, but understanding the artist’s intention at conception and expounding upon it throughout the process is to me the most important part of each project. In my view, you can’t be taught that. TMN: How did you get into the trailer music industry? G. T.: I was recording an orchestra for a show at Paramount Scoring Stage in Hollywood when I first met Yoav Goren from Immediate Music. The first trailer project I worked on for them was ‘Themes for Orchestra and Choir 3′ (TOC3). They had produced amazing work with some very talented mixers but when we met they were searching for a new and dynamic approach. One interesting thing about that project is I searched all over Southern California for the most unique acoustic environments possible. We recorded the strings in a wonderful sounding concert hall, the brass and percussion in a huge church and the choir in a marble room with a 6 second decay. The sound of that record still stands out. That first trailer project showed me how much creative freedom there was in working on trailer music. To me, working on film music is eighty percent technical, twenty percent creative. In trailer music it is twenty percent technical and eighty percent creative. TMN: We can read on your website that you are a Producer and Mixer. Can you explain each job? G.T. : The work I do is so diverse depending on each project. What I bring to each project is usually a mixture of both production and mixing. When I produce a project I am usually brought on early. I might guide the artist or composer in selecting pieces, deciding on the musicians, where and how to record up to guiding the sessions and overseeing the entire production and mixing process. Sometimes even into the mastering of the final product. When I am brought on as a Mixer, my clients rely on me not just to ‘mix’ in the literal sense (i.e. making their music louder-quieter-brighter-warmer and so on). They want me to help create a sonic picture. They know that I make bold choices. I truly believe that to be creatively successful you have to make big broad strokes. I might rearrange, re-conceptualize, edit, play parts, create sound design elements or even develop entirely new sections. Artists trust me to do whatever it takes to elevate a piece of music and bring it to a grander emotional scale. Maybe even more than they imagined possible. TMN: As you have worked with many companies and artists, what is in your opinion the most important skill set required to get along with artists and be most effective? G.T. : There is a fine line between confidence and arrogance. You need to be confident without coming off as arrogant. You must have mad ears and not be afraid to push any and all envelopes, never getting stuck in the ‘this is the way it is” mentality. I try to grow from the experience of each previous project. Composers and artists are creative people and end up (like all of us) needing someone to guide them. It’s common these days for composers to mix their own music, but to me everybody needs a second opinion at some point. So they need someone artistically confident and creatively like-minded, but not overbearing. TMN: As a mixer you need to have a good ear for music, do you ever practice to improve it? G.T. : I never stop learning, practicing or growing. It is more than just good ears to me. It is an intuitive sense that is built from experience coupled with a thirst for staying relevant, technically current and creatively fresh. You have to not censor yourself by being afraid to make mistakes and go in wrong directions. If I just used the same technique on each job, the music I work on would suffer. Not to mention my career. I always try to push beyond any limit because each and every day holds a different, new set of challenges that need to be met with new ideas. TMN: Which one of your works are you the most proud of? G.T. : It always seems to be my most recent project. So I would have to say “Helios” from Audiomachine. The music was composed by Paul Dinletir. I produced this release with him. Thanks to Paul, we had the best resources imaginable; top-notch players, a world class recording hall and spectacular, powerful music. At the mix Paul said to me, “Take as long as you need to make it the very best you possibly can!” I’m used to working on a tight deadline so it was a dream to give the music the time it deserved. I’m very proud of the results. This release is both sonically and musically incredible and I believe it will set a new standard for trailer music. It will be interesting to see the impact it has on the industry. TMN: What do you think of the current trends in movie trailers? In the last year or so, I’ve thankfully seen a change of attitude. It seems like trailer industry pros do care what the music sounds like and want a high level of production. Each year so much music gets churned out that one way to stand out above the competition is to give the music an artistic edge, bold production, plus a really powerful mix. A great mix is often overlooked or the first thing that gets degraded with minimal resources. But almost anyone can tell the difference. Put two pieces side by side: the first one is harmonically superior but lacks production value. The second one might not be the most harmonically superior but sounds amazing, rich, powerful and emotional. Which one do you think will get noticed? TMN: What are your plans for the future? G.T. : I have two more trailer releases to complete this year as well as a film score. My hope is to work on projects where I have the creative space and proper time to do my best work. I’ve also just started writing my second trailer music release and hope to finish by the end of summer. TMN: What’s your advice to aspiring composers, producers and mixers who want to work in the trailer music business? G.T. : Follow the guidelines of your style and genre but don’t fall into the trap of trying to ‘sound’ like anybody else. Carve your own path. Make your own rules. Have your own voice. Make bold choices. Never be complacent. Push the boundaries as far as you can. Be unique. “Always attempt perfection but understand that perfection is unattainable”. TMN: Thanks for your answers.